Earlier this year a Kickstarter project I found fascinating came around. Living in an area that experiences severe thunderstorms in summer and the occasional blizzard in winter, I'm no stranger to losing power at times, which can be annoying for anyone. With this in mind, I bit the bullet and backed the SmartCharge product. 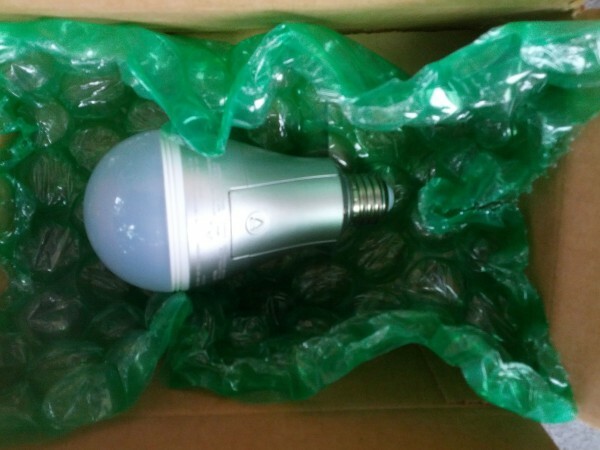 I'm not accustomed to paying $35 for a single lightbulb, but the idea was ingenious. Essentially the bulb has a battery inside which keeps itself charged whenever the power is on. When that source no longer exists the bulb switches to battery backup and continues to operate when the switch is turned on. 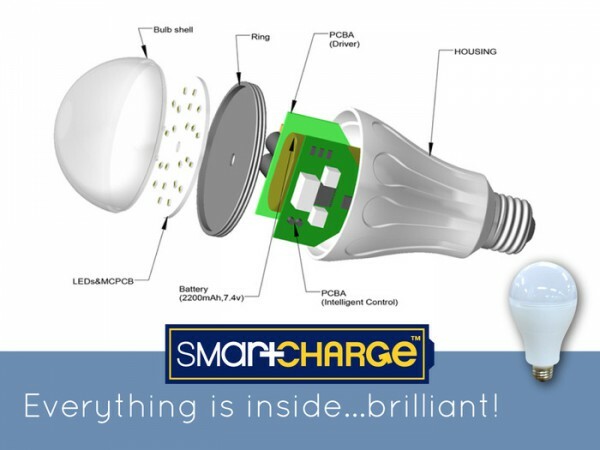 "The SmartCharge Bulb senses a power outage, recognizes the ON/OFF position of your light switch and allows control of the light even with no utility/grid power. When the power goes out, the lights go out". It took about nine months, but the product has arrived. It is just a lightbulb, so there isn't a tremendous amount to be said about it, but I'll give you what I can. The first thing you will notice is the appearance -- it looks a bit odd compared to the normal CFLs we all seem to be using these days. I don't mean this in a bad way, though. It resembles more the old incandescent bulbs of our past, though the metal runs further up the sides. The bulb also has a door on the side. You'll need to remove a tiny screw and then slide the hatch downwards (there's an arrow explaining this). Inside is the rechargeable battery which can be replaced when it eventually expires, though the life expectancy is quite long. This is an LED bulb, so you can expect a bit different, and perhaps better, light than you're used to with the typical CFL that some feel seems unnatural. I gave it a brief test run -- thankfully not losing power, but simply turning off the circuit breaker that handled the light I had put it in. Everything worked as advertised. There's a lot of technology inside. There's an intelligent control circuit with grid sense and switch sense, battery charging circuit and inverter, among other things. If you didn't back the Kickstarter project then you'll need wait for SmartCharge to hit retail, which shouldn't be too far off now. You'll likely also save a bit of money, as the expected MSRP is in the $25-30 range from what we've heard.